From a can -- love it! Environmentally friendly and less expensive. Pork Slap pours a clear amber and a puffy three-finger head into a wheat glass, leaving solid lacing. The nose is clean crystal malt, bananas, toffee, and baked plaintain, with a little clove, cardamom, and ginger (apparently ginger is actually added to the beer -- I only got a hint, which is all I would have wanted on this delicate nose). On the palate, sweetness and more tropical fruit backed by assertive carbonation and light hops make for a mouthfeel that is textured yet refreshing. There’s not a lot to it, but it’s a fine session beer to pair with spicy foods. I'm on the record as someone who is less than enthusiastic about New York syrah. Only a handful of wineries are even doing varietal syrah -- so it's not a big or important segment right now at this point -- but I find most of them underwhelming. As such, I'm of the opinion that syrah will never be more than a niche product. Then again, syrah can make some nice rose. There are exceptions to every rule and Jamesport Vineyards 2007 "MTK" Syrah ($35) fills that role for New York syrah. MTK stands for Mattituck, where owner and long-time local viticulturalist Ron Goerler has this particular planting of syrah. Ron is known for bringing in great fruit and -- in 2007 at least -- he did the same with syrah. The nose is ripe and spicy, showing intense blueberry pie, black pepper, anise and ripe plum aromas with some added spice lurking in the background. Medium-to-full bodied, the palate borders on soft with lush, ripe tannins, but offers enough structure for dense plum, blueberry and cranberry fruit flavors with a little vanilla, more black pepper and a sprinkling of Chinese five spice. This is a wine that shows syrah can be successful in New York, in the hottest of years in the best locations. It's certainly the best New York syrah I've tasted. There are not many 90-point Gewurztraminers that have come out of the Finger Lakes, and there has never been a 90-point lemberger. Amy Hoffman, owner of Rooster Hill Vineyards on Keuka Lake, believes she has one of each. And she isn't afraid to say so. "I jumped right on Facebook and said that these would get 90 points," she told me on a busy mid-week day in the tasting room that overlooks the northeast branch of the lake. That confidence has been a key component of Hoffman's plan since launching Rooster Hill Vineyards nearly ten years ago. Without some swagger, Hoffman and her husband knew they would have no chance. After all, they were not farmers or grape growers or winemakers by trade. Amy was a high-tech consultant and marketing executive; David was a financial planner. If they were serious about making wine, they had to approach the endeavor with a positive mindset. "We like to say we're serious without being snobby," Amy said with a smile, and she might have also added, "confident without being cocky." On this visit I wanted to taste the wines, learn more about Hoffman's vision, and try to figure out how this small winery was making a profit without any intentions of growing beyond 5,000 cases or so. The first thing you'll notice about the wines is that they're all clean, solid, and thoughtful (Hoffman hired Barry Tortolone to be the winemaker from the beginning in 2002). She explained that without an open mind in the vineyard, this might not be possible. "Take cabernet franc, for example," she said. "We're now getting just over two tons an acre. I was a skeptic about that for a while. We used to be higher, around four tons, and I wasn't sold that there would be a difference. But you just have to do it. The difference is profound, and now our red wines are so much better than what they were even four or five years ago." The 2008 cabernet franc is alive with campfire and dark, murky fruit. Like Lenn, I found the smoky notes to be a bit too dominant, but Amy explained (and Lenn agreed) that giving the wine time to open up allows the aromas and flavors to marry a bit more. That presents a challenge for tasting room staff, who tend to pour super-fresh bottles, but that's another story. Another lesson that is paying off for Rooster Hill is the move toward a wider range of riesling. The 2009 dry riesling is snappy and evocative of a cooler vintage, while the semi-dry fleshes out a bit more. But it was the 2008 semi-sweet that moved me. This was a very expressive rieslings, with a broad nose of almond cake and star fruit and an expansive finish of marmalade, honey, candied grapefruit, and beeswax. "We're thrilled with this wine," Amy said, almost jumping out of the tasting room with excitement. "We don't have a lot left, but we're thinking of laying some more down. This should have a fascinating life ahead." I couldn't agree more. It's an early candidate for 2010 Finger Lakes white wine of the year, and it's a wonderful example of the serious (not snooty!) sweeter rieslings being made in the region. I was a bit let down with the 2009 version, which is still awkward. Then I was surprised to return home, open a bottle of the 2008, and find it sealed with a synthetic cork. I think that's a mistake for any Finger Lakes riesling, and particularly so for a wine that shows potential for the long-term. Still, there is promise in the riesling lineup at Rooster Hill. "It might sound cliche, but there's a riesling for every palate, and there's a wine for every person who comes into our tasting room," she said. "When you can offer a customer three different rieslings, you have a great chance to connect with them." The tasting bar alone cost the Hoffmans $20,000, and the tasting menus are right up there with the classiest presentations in New York state. It's a reflection of the marketing executive's demand for a superlative tasting room experience. "This is where you can separate yourself," she said, gesturing to the ornate bar and warmly decorated room. "My staff knows how important that is. Everyone who comes in to taste wine wants to have a great time." She seems surprised to see the lackluster tasting room experiences that often color the experience at her competitors' facilities, but that's just another opportunity. "Of course we're trying to stand out. We want it to be fun. We want it to be memorable." The Hoffmans have not cut financial corners in the tasting room; most elements evoke the name and theme, which are a reference to the Hoffmans' love of all things Italy and Tuscany. 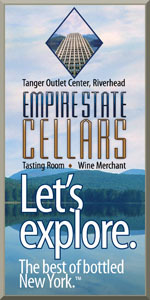 But I wondered: What does she see in the region beyond the tasting room that is holding the Finger Lakes back? "There's no easy solution for this, but for the region to take the next big step, we need a big-money supporter," she said, referencing the investors who have propped up vintners on the west coast. "I'm not saying I know how we get there. But if we could pull that off, we'd see the world take more notice of what we're doing." I'm not the best writer to talk to about point scores, admittedly. Lenn does our scoring. But I can say that the 2009 Gewurztraminer is impressive and extremely consumer-friendly in a marketplace that can be turned off by extreme gewurz character. It's not hot, unlike many of its brethren, and it carries a melange of ginger and spice without going over the top. The 2008 Lemberger is far less smoky than the cabernet franc, and in fact it stands as the best example I've yet had from the Finger Lakes. The key to this wine is weight and texture, which Hoffman attributes to the knowledge they've gained in the vineyards (Rooster Hill has eight acres and the majority of their wine is produced from estate fruit, with the rest purchased from Finger Lakes growers). But what makes for a 90-point lemberger, anyway? Hoffman admits that she rarely drinks wines from other producers. At home, she drinks Rooster Hill. "I'm proud of what we're doing and I find myself gravitating toward our wines!" she said. That's understandable, but without a wider frame of reference - without drinking more from the Finger Lakes and from around the world - it makes it more difficult to assess what truly constitutes a special wine. In less than a decade, Hoffman has become a leader in the local industry by sitting on boards and generally planting proverbial flags everywhere she goes. She has gained a reputation as a ferocious advocate for Finger Lakes wines on restaurant lists, and she isn't afraid to push her colleagues to focus on higher and higher quality. The result is a strong lineup of wines and a friendly tasting room experience. If Hoffman is correct, her success will benefit the region as a whole. And she still has so much more to learn. Why is City Winery Serving California Wines at their "100-Mile" "Farm-to-Table" Dinner? Yesterday, I received a press release about an upcoming "Farm to Table" dinner at City Winery, one of a handful of New York City-based urban wineries. It goes without saying that I'm an advocate of eating and drinking locally, so when I saw that they'd be creating "an outdoor dining experience highlighted by local food and wines" I thought it might be an event worth mentioning here on the site.I receive way too many event announcements to publish them all, so I'm selective. The menu for this event looks great though and features ingredients from local farms, so I was going to mention it. Unfortunately, the "local wines" referenced at the beginning of the press release are anything but. The menu lists City Winery-made syrah, chardonnay and rose of pinot noir and a quick look at their vineyard source list tells the decidedly un-local tale that these wines are West Cost and most likely California in origin. It's long frustrated me that City Winery is using so little New York-grown fruit in their wines (one Finger Lakes riesling vineyard is listed) There are vineyards throughout New York that would no-doubt sell them grapes if City Winery cared to purchase them. I've never written about this until now becuase I've never seen City Winery tout their wines as local -- until now. The event page for this dinner mentions "100-mile" numerous times, but I'm certain that California and Oregon are outside of that 100-mile range. And it looks like some of the food incredients are outside of this 100-mile range as well, even if they are from New York. California wines at a "Farm to Table, 100-Mile" dinner is a huge disconnect, however and makes me wonder if City Winery is just looking to cash in on the trendiness of the concept without really following through on it. Is a "local" dinner really local if takes place in New York but the wines are from California? I don't think so and City Winery should be questioned about how they are marketing this event. This absolutely is not a 100-mile dinner and should not be promoted as one. And the press release definitely should not include the phrase "local foo and wines" when only half of the meal is local. When's the last time you found yourself in a Finger Lakes vineyard? My wife and I spent a glorious summer's day searching for potential book cover art, and we moved from lake to lake, spending time in countless vineyards. It was a stirring reminder that the terrain is truly special for winemaking. We'll be spending more time on NYCR as harvest approaches focusing on the impact of a wine's place. For now, I will report that the Sawmill Creek vineyard site goes from peaceful at the top section to precarious and steep at the bottom. Atwater Vineyards boasts some of the most prime parcels we've found. And any vineyard that has a view of the bluff at Keuka Lake is worth visiting. Of course, there are plenty of mediocre sites. But the very best sites have developed the kind of personality that old world elitists might like to argue only exists in, say, the old world. Most of eastern Long Island was under a severe thunderstorm warning yesterday evening. The storms, which came in waves, brought high winds, heavy rains, hail and even tornados apparently. I know that we were under two different tornado warnings at my house. Not long after the storms starting pummeling the North Fork, reports starting coming in of hail damage to local vineyard -- Jamesport Vineyards and Comtesse Therese Vineyard to be precise. According to long-time grower Ron Goerler, owner of Jamesport Vineyards, his vineyard sustained around 20% loss, telling me in an email "Jamesport was hit with tornadic winds with hail. The west side of the fruit has a fair amount of damage -- split berries." Theresa Dilworth, owner of Comtesse Therese forwarded me an email from her husband and vineyard manager Sammy Shimura. Half-inch hail hit the vineyard yesterday afternoon and according to Shimura, "Almost all clusters were hit and our fruit got damaged. (On) average 3 or 4 berries of each cluster were slashed. Hail came down from the southwest sky and hit clusters on the southwest side. The northeast side and clusters were not damaged." With split and damaged berries, the concern now -- beyond loss of fruit itself -- is the spread of disease, which will now need to be managed. Has anyone else heard about other vineyards being hit by the storms yesterday? If so, please put it in the comments. I'll update the post as new reports come in. This has been an incredible growing season thus far, but growers know better than to assume anything. Don't believe it when you read people already talking about 2010 being an 'outstanding' year. It's way too early for that. A lot of people, including my wife, don't really care for most gewurztraminer, finding it too floral or perfume-like. I can understand their trepidation -- to a point. Some gewurztraminer does indeed smell and taste like the type of perfume your grandma wears. No one likes those much -- probably not even your grandmother. But gewurztraminer doesn't have to be like that and there is a lot of great gewurz being made in the Finger Lakes. Right after riesling, it's my favorite grape for the region, delivering exotic spice, tropical-citrus fruit and -- when done well -- great balance. Sheldrake Point Vineyard 2008 Gewurztraminer ($18) is definitely a wine that delivers balance and doesn't overdo it on the rose petal character. Candied lemon peel bursts from the glass with floral aromas that aren't at all rose-like or perfumy, classic lychee notes and a little sprinkling of brown spice. At $15, this is a terrific value for both gewurz lovers and doubters alike. The tasting room isn't fancy and sure, I wish more of their wines were closed with natural cork (to see how they cellar) but for my money, Hosmer Winery offers some of the best value vinifera wines in the Finger Lakes. This dry riesling is no exception -- in fact, it's one of the best examples. Hosmer Winery 2008 Dry Riesling ($12), made with grapes grown in the oldest section of their vineyard, planted almost 30 years ago, is very apple-y on the nose with hints of tropical fruit, fresh herbs and lime. The palate is fruity and forward, showing more apple and some melon fruit character with a squirt of lime and a sprinkling of lemon zest. It's dry (.7%) with nice balance, but not austere or harsh. 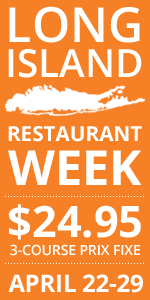 The finish isn't super-long, but for $12 you can do far far worse -- not just in the Finger Lakes, but the world over. The Finger Lakes needs more quality riesling at this price point. Morten Hallgren, winemaker at Ravines Wine Cellars, makes dry wines and dry riesling... and that's it. That's unique in a region where just about every winery has at least two rieslings -- "Dry" and "Semi-Dry" -- and often more. Having a portfolio without at least one sweeter wine -- 1% residual sugar is as high as it gets at Ravines -- is somewhat risky in a region visited by throngs of sweet wine lovers. Most wineries stock at least one or two wines "for the masses" but Morten and his wife Lisa seem to be doing just fine making the wines they believe in. Top-to-bottom it's one of the best lineups in the Finger Lakes. Citrusy and floral, the bright nose on Ravines Wine Cellars 2008 Dry Riesling ($17) shows intense lime, citrus blossom and green apple aromas with subtle peach character (that emerges as the wine warms a bit) and a stony vein beneath. Focused and intricate, the palate is -- of course -- dry (.3% RS) with more lime, Granny Smith apple, floral and slate flavors that are at once delicate and intense. The finish is long an all about the stony slate character with just a little citrus zest. Many of you tried to help me make sense of a recent wine experience - click here to read the post if you missed it. Well, wonder no more. The owner and general manager, Kevin Reeder, sent me the following email. I am sorry for your experience at Stonecutters on Saturday evening. I have had the opportunity to speak with the young lady that waited on you Saturday evening. The after 10PM bottle wine "policy" as outlined to you by her does not exist. The wines from the list are available during all the hours the restaurants (Edgars and Stonecutters) are open. The bottled wines are locked in two locations, first floor and basement. Both locations are short distances from Stonecutters. The retrieval of the bottled wine during later hours, after Edgars, the fine dining restaurant, is closed poses a little logistical challenge but generally is handled seamlessly. I am embarrassed that this was not the case with your visit. Unfortunately, for you and I, she made a bad decision on Saturday evening. Business owners take note: This is how it's done. I applaud Mr. Reeder for addressing the question directly; you'd be amazed how often owners lash out when we point out a potential problem. The email is a comfort because we've always had such good experiences at Belhurst. We'll certainly be back. There is more chardonnay planted on Long Island than any other white grape, but those aren't the wines that excite me most -- not by a long shot. If I had the money to buy and plant a vineyard right now, my white wine program would be heavy on sauvignon blanc. It's the white grape that shows the most consistent promise here, is one that winemakers are doing great things with today, and a grape that I expect even better things from in the future. For many years and through winemaking changes, I've enjoyed the sauvignon blanc at Jamesport Vineyards, where the Goerler family has been growing grapes for decades. From year-to-year there has been some inconsistency in style, but Jamesport is still a clear leader in local sauvignon blanc. Jamesport Vineyards 2009 Sauvignon Blanc ($24) is extremely tropical on the nose -- mango, green papaya, pineapple -- with hints of kiwi, grapefruit and green fig. Medium-to-full bodied, the palate balances ripe richness with fresh acidity. Pineapple and mangoes lead the way, framed by that acidity and layered with melon, fig, understated herb notes and just a little flinty minerality. The finish shows nice length with a little kiwi-melon that finishes clean with zesty citrus.